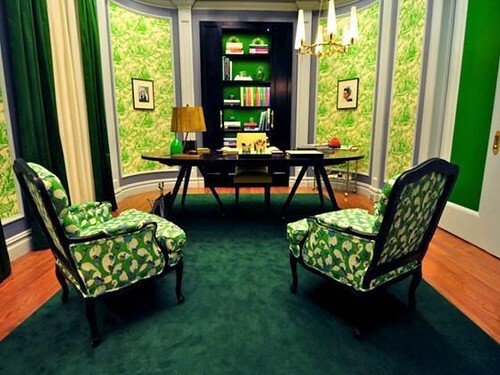 Chic describes not only Blair's office style, but her actual office from the show. Remember that? 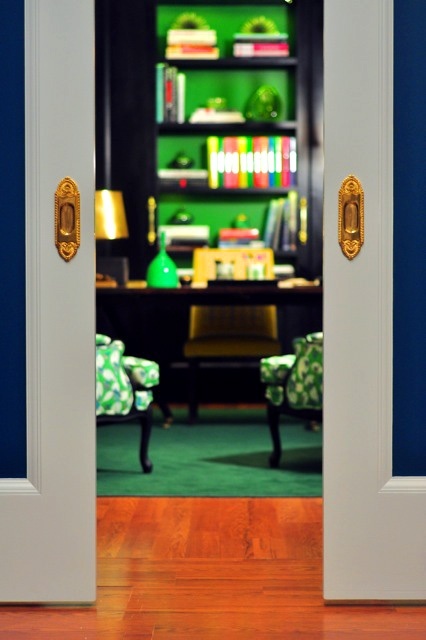 Oh, I loved the big reveal of her home office whenever she takes over her mother's company. I've been striving for that chic elegance in my own home office. 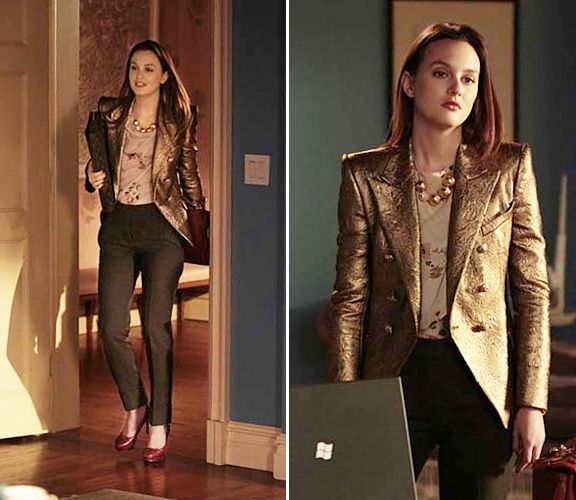 From interviews at Yale, interning at W, and running her own empire, Blair's definition of an office wardrobe is beyond perfection. 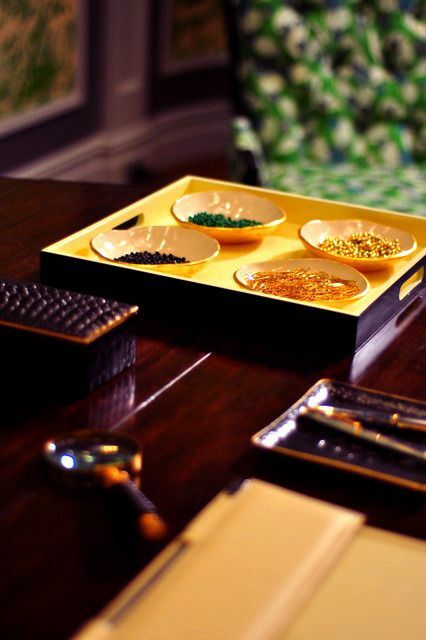 It combines classic office attire with a chic and upscale twist. 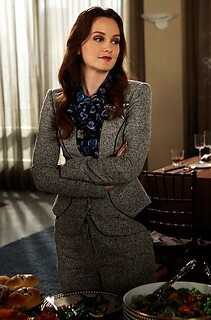 Her outfits contained traditional business attire elements while looking anything but traditional. 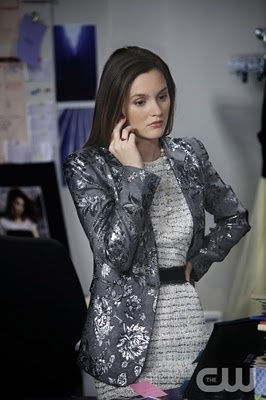 Here are some of my favorite office appropriate looks throughout the show. 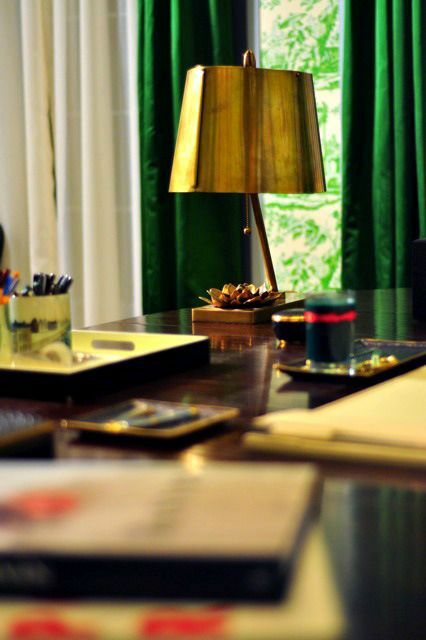 I love the luxurious green tones of her home office. 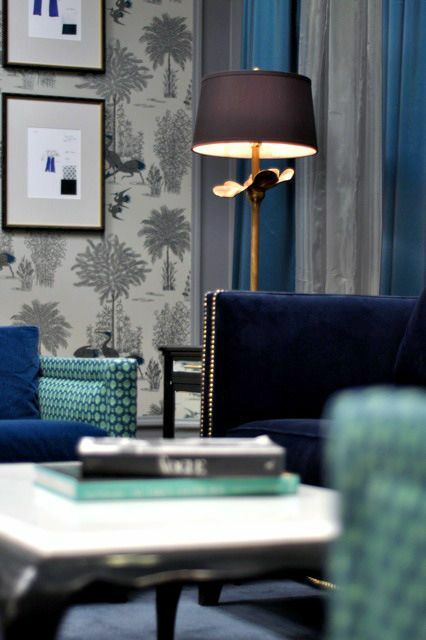 And how freaking beautiful is that wallpaper? Which outfit is your favorite? What is your favorite part of her office?